The New Zealand Chef Bringing Māori Ingredients to the Fine Dining Stage. At Hiakai, Monique Fiso has embarked on a mission to make native New Zealand food “something that we should be proud of”. 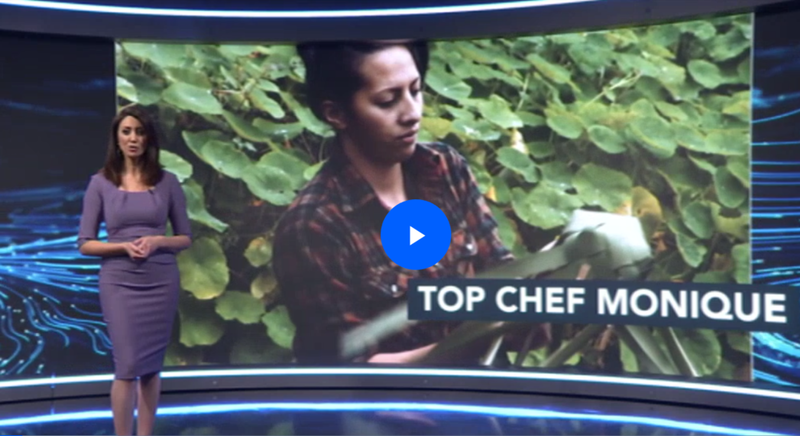 Jesse Mulligan of The Project NZ visits Chef Monique Fiso of Hiakai in Wellington to talk about the future of NZ cuisine and the foraged bush ingredients she uses in her dishes. Over the same 24-hour period she opens her new restaurant, Hiakai, in Mt Cook, and appears in the freshly dropped new mega epic Netflix chef competition Final Table. Much more lies behind both than you'd imagine. Netflix is gearing up to launch what may be its most ambitious food show yet: a 10-part global culinary competition called The Final Table. The show will feature 24 competitors from around the globe cooking in a series of country-themed challenges administered by nine of the world’s most acclaimed chefs. The cast list also includes international talents Monique Fiso (chef/owner of soon-to-open Hiakai in New Zealand), Darren MacLean (chef/owner of Shokunin in Calgary, Canada), Ash Heeger (chef/owner of Ash in Cape Town), and Shane Osborn (of Arcane in Hong Kong). Is this new zealand’s most exciting chef? No-nonsense 31-year-old Māori/Samoan woman Monique Fiso is behind one of the most anticipated restaurant openings in years. This is food the likes of which New Zealand has never seen — innovative, sophisticated, thoroughly modern cooking with indigenous ingredients at its heart. The best in New Zealand's restaurant scene have been announced. A big winner on the night was Monique Fiso, the chef renowned for creating Michelin-style Māori cuisine. Monique Fiso – renowned chef and Māori cuisine champion will be onsite at the Museum of Transport & Technology (MOTAT) in Auckland this coming Monday to oversee the final installation of an exhibit honouring her Hiakai cuisine initiative. With the launch of her Wellington restaurant fast approaching, MOTAT is justifiably thrilled to have secured Monique’s time and attention to take part in this upcoming exhibition – The Innovators. Māori cuisine and traditional cooking methods were on the menu at MOTAT's Innovations Exhibition. Whatitiri Te Wake - Te Karere reports on one young woman's quest to perfect fine Māori cuisine using traditional cooking methods. THE KAWAKAWA LEAVES are dark as jade and riddled with holes, the telltale bites of looper moth caterpillars. In another kitchen they might be thought compromised and tossed aside, but to Monique Fiso, a New Zealand chef of Māori -Samoan heritage, they are taonga, or treasure. According to Maori herbal medicine, the more holes, the better — because caterpillars choose only the finest leaves to feast on. It’s been almost two years since chef Monique Fiso started her Hiakai pop-ups, taking over restaurant kitchens with menus that champion Maori cuisine and indigenous ingredients. At the time, she didn’t know if there was even an appetite for her idea, but the project is gaining more momentum than ever. Often a meal can be more than dinner with friends and family. It can be more than a plate of food, some polite conversation about the achievements of the day and your daily dose of sustenance. Once in a while a plate of food, or in the case of my recent experience at Hiakai at The Food Farm, a number of carefully considered and collected plates of food, can be an uplifting and humanising experience. She was once ashamed to be Maori so it’s ironic that she's now celebrating Maori cuisine. Chef Monique Fiso made a name for herself in NYC, working in Michelin-star restaurants. But the notoriously tough cooking world resulted in Monique battling anxiety, drugs and alcohol. With her trademark determination she decided to make a shift and came home to discover a new style of cooking, and a new side to herself. Monique Fiso is a young chef of Maori heritage who is becoming famous in New Zealand for her exploration of local wild plants and her devotion to traditional hangi. The food chatterers expect her to join the top rank of chefs after her restaurant in the capital city of Wellington opens this fall. 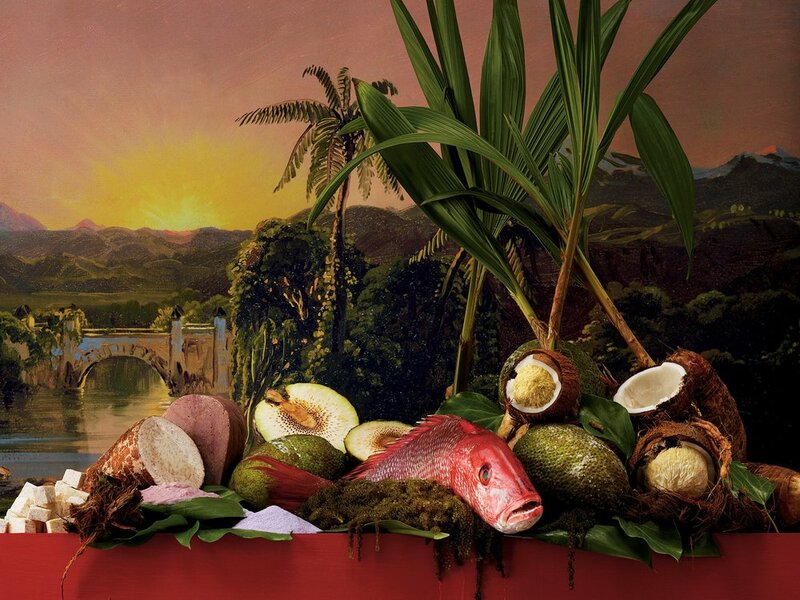 Monique Fiso’s Hiakai project is currently taking on the world. We are very proud to have been there to document the beginning, to give people a glimpse into Monique’s graft and determination and to give her the space to tell her story. New Zealand’s chef Monique Fiso on why her dinners make people cry. When you begin to dig up a hangi pit, the thing that hits you after the first few shovels of dirt is the smell. It’s the scent of altered earth, of flavor trapped in a subterranean oven, traveling upwards on tendrils, then billows, of steam. The further you go, the stronger it gets. Is this New Zealand's most exciting chef?